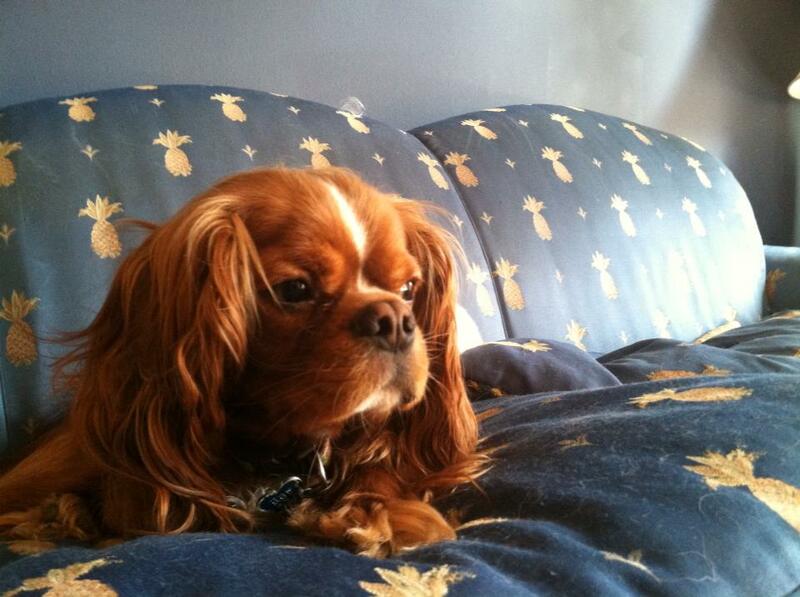 This is Bailey, a beautiful Ruby Cavalier. He was born in February. He was a rescue and he is a puppy mill dog. What a cute face! 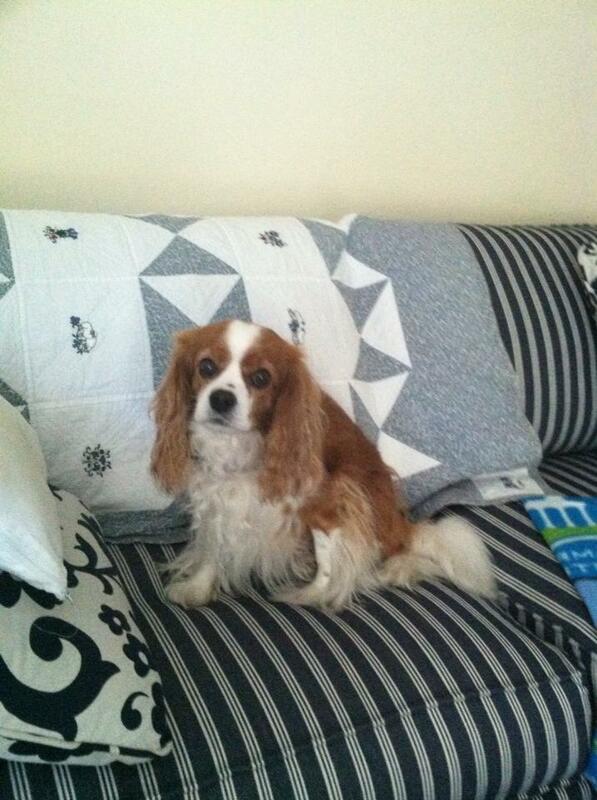 He currently lives with Maddie a cute Blenheim Cavalier. 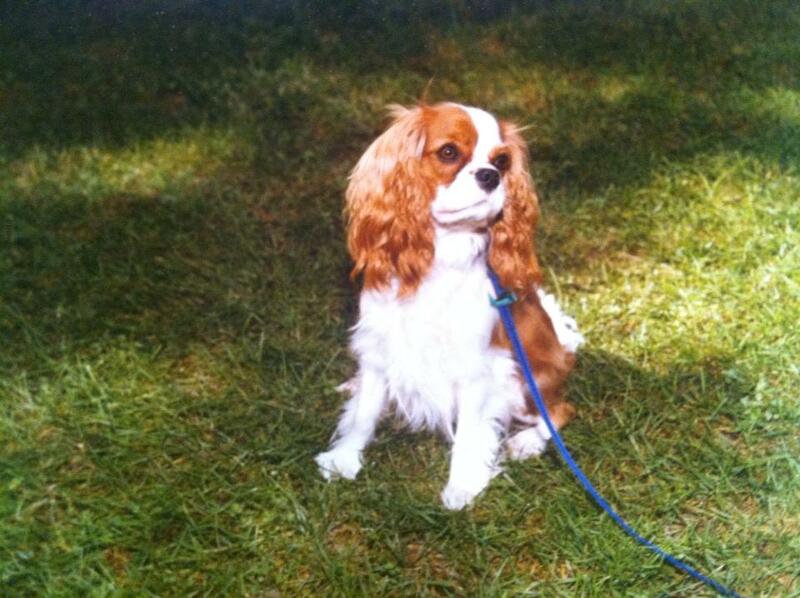 Brittney, also a Blenheim Cavalier, was also part of the family, born May 5 1999 and passed Aug 11th 2013.